UberMedia CEO Bill Gross: Twitter Turn-Off "Took Us By Surprise," But "We Will Change"
Facebook Posts Are 3 Times More Powerful Than Tweets. The group buying startup ChompOn has calculated the value of a Facebook posting in driving social shopping - at $14, it's nearly three times what a Tweet is worth. And likes are worth $8. Note: Need to take a closer look at this study. 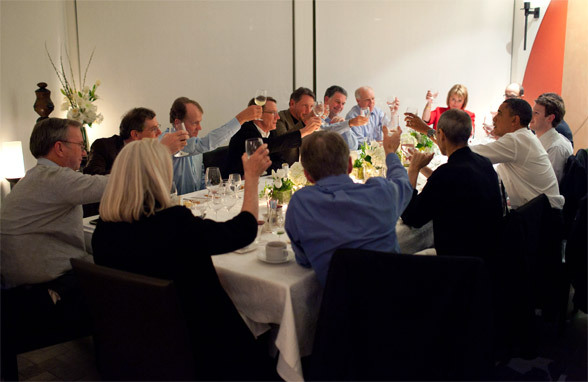 One problem is that "None of their analysis captures long-term value of customers acquired through these social channels"
President Barack Obama joins a toast with Technology Business Leaders at a dinner in Woodside. All the big shots where there, except Microsoft. Interesting article about social "A Better Social Web Exists". Why Twitter Must Expand Beyond 140 Characters. Yep! Last.fm's CEO is not pleased with Apple pricing monopoly. Apple Just F****d Over Online Music Subsriptions. This below graph says it all. 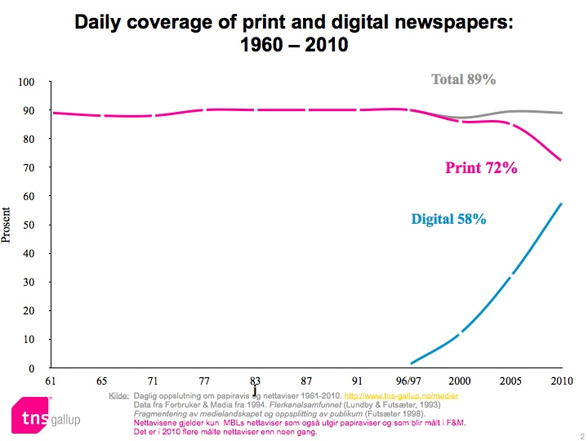 From Mediehusanalyser 2010: http://j.mp/fOcbnh (PDF in Norwegian). What do you think will happen in the next five years? Seth Godin on "Two paths for successful group events". Great example of an honest mistake - When good tweets go bad:http://cot.ag/gjUc3w. How Red Cross saved a stray Tweet. Seven Questions That Will Decide Mobile's Future - Part One. And finally, something for a casual friday: Your BRAIN makes the decisions you THINK you make six seconds before you make them.